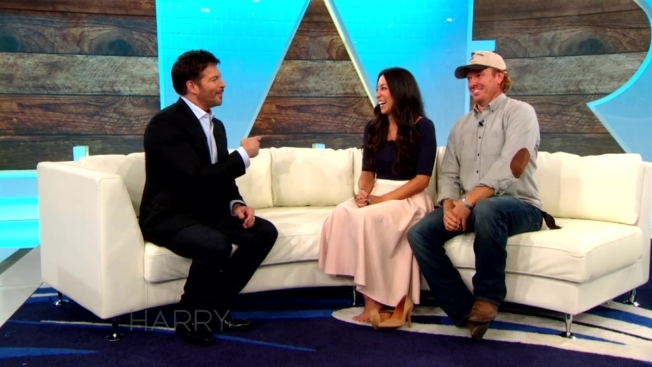 In their first joint interview since announcing they’re ending their beloved HGTV hit "Fixer Upper," Chip and Joanna Gaines tell "Today" anchors what led to their decision. “We wanted to take a step back and focus on our relationship,” Chip said. "I'm an idiot. When we got into this this I thought it was a get rich quick scheme. I thought we could work about eight hours a month and supposedly you end up with all these riches when it's done. But it's not that easy. The emotion and the amount of energy it takes to pour into this." Joanna adds, "I get people being upset because I feel we’ve all grown with the audience. They’ve come along with us. On the other side there was also encouragement. Even though it was sad they get it. We have this growing family and that was one of the biggest reasons why we wanted to end it." The decorating duo from Waco, Texas, became stars remodeling homes on the reality TV show that began in 2013. In “Fixer Upper,” the couple shows three potential homes to a couple for purchase. After the couple chooses a home, Chip serves as the lead contractor while Joanna is the designer. The couple called season five of “Fixer Upper,” which premieres on Nov. 28, the “perfect finale” to their amazing journey. The spinoff of the series, "Fixer Upper: Behind the Design,” which offers a behind-the-scenes look at Joanna’s design strategies and how Chip and Jo pull their projects together, will still premiere shortly after, the couple said in their blog.